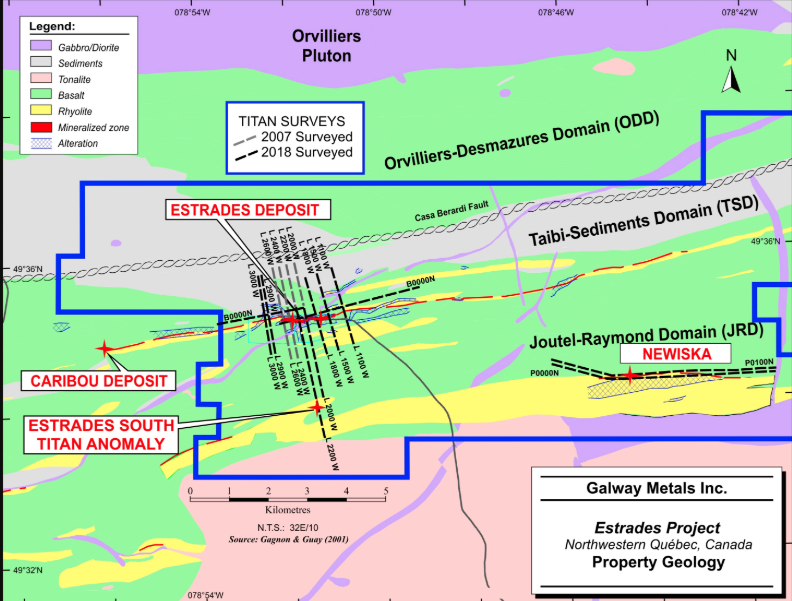 June 28, 2018 06:30 ET | Source: Galway Metals Inc.
TORONTO, June 28, 2018 (GLOBE NEWSWIRE) — Galway Metals Inc. (TSX-V:GWM) (the “Company” or “Galway”) is pleased to report results from new Titan geophysical surveys recently completed by Galway along the Newiska horizon on the Company’s 20,915 hectare, 100%-owned, Estrades Project in the northern Abitibi of western Quebec, Canada. 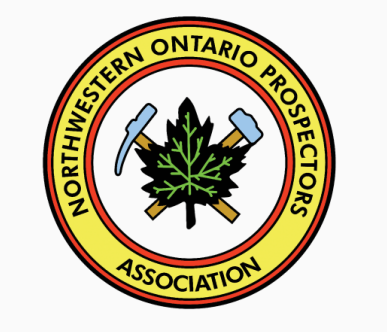 Highlights include a sizable new geophysical target at the Newiska prospect, 8,000m southeast of the former producing Estrades polymetallic deposit, and a new target, some 2,200m south of the main Estrades deposit, (“Estrades South”). In addition, Galway is pleased to report assay results, highlighting high grade copper intersections from the first drill hole by Galway into the Newiska rhyolite horizon (Figure 1). Drill Hole GWM18-NK-01 intersected 4.2% copper over 0.7 metres (see core picture in core box) in a 22.0 metre interval that returned 0.5% copper, hitting the high grade stringer vein some 93 metres from an historic hole that returned 2.0% copper and 37.4 g/t silver over 1.5m in a 9.4 metre interval that returned 1.1% copper and 41.5 g/t Ag. The high-grade stringer vein intervals in both holes contained considerable chalcopyrite. In the new hole, GWM18-NK-01, the high-grade mineralization is part of an extensive 132 metre stringer zone that is present from 328-460 metres. A second stringer zone is present from 141-194 metres. The significance of such stringer zones is that they are commonly found peripheral to major VMS (Volcanogenic Massive Sulfide) deposits, which are a major source of metals such as copper, zinc and lead. Importantly, these drill results are located on the edge of a new geophysical target outlined by Galway’s recently completed Titan geophysical survey, as discussed below, which may indicate the presence of a major, previously unrecognized massive sulfide body at Newiska (Figure 2). Of note is that Galway’s drill program at Newiska occurred prior to the receipt of Titan geophysical results. At hole GWM18-NK_01, Galway’s new Titan geophysical survey from Quantec Geoscience outlined a strong IP (“Induced Polarization”) conductive zone over 900 metres in length that may correlate with a deep MT (“Magnetotelluric”), less-resistive anomaly extending to depths of 2,000 metres (Figure 2). 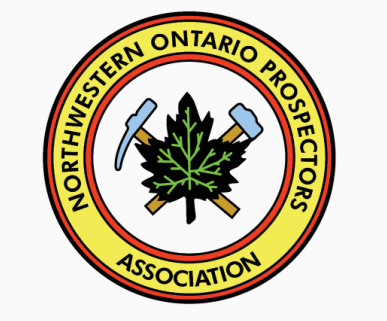 As this could possibly represent a large body of massive sulfide mineralization, and given the copper-rich stringer zones found peripheral to the location of the anomaly, this represents an exciting new target for follow-up drilling. In addition, a second very strong Titan IP chargeability target, “Estrades South,” has been discovered 8,200m west along the same Newiska rhyolite horizon, and located 2,200m south of the Estrades deposit itself. According to Quantec, this target “seems to present the same [geophysical] signature as the Estrades deposit” and “is associated with a conductive zone” below and to depth (Figure 3). 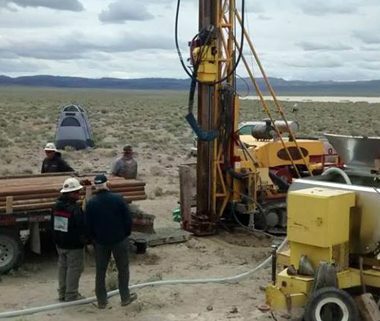 Galway believes there has never been any drilling into this area, with the closest known historical drill hole some 400 metres south, and the best drill hole in the area returning 4.7% copper over 0.6 metres in a stringer zone located 1,000m southwest. 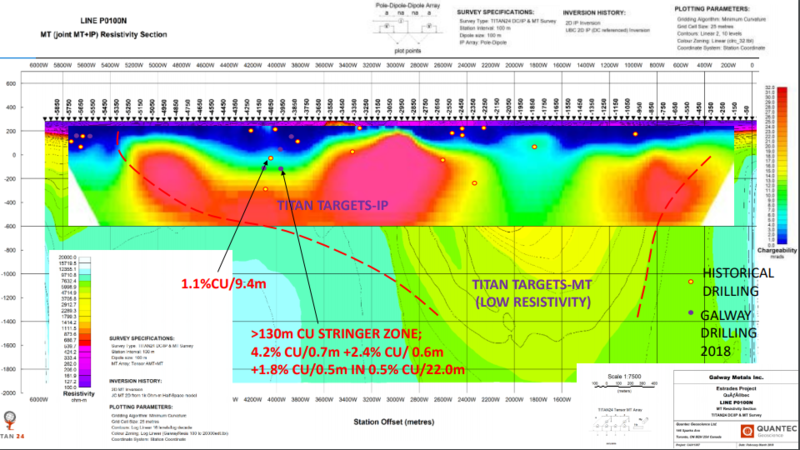 This new Titan conductive zone also coincides with magnetic and VLF anomalies, making yet another highly prospective drill target that could uncover another volcanogenic massive sulfide (VMS) deposit in the Estrades Camp. This should be seen in the context of the fact that VMS deposits, as seen in many districts around the world, tend to form in clusters and so these two targets could represent other deposits in the same cluster. 22.4 g/t Au, 199.3 g/t Ag, 10.4% Zn and 2.0% Pb over 1.6 m (TW=0.8m), in Hole GWM-17E-16. 1.1 g/t Au, 95.2 g/t Ag and 4.2% Zn over 17.7 m (including 1.7 g/t Au, 190.9 g/t Ag, 9.7% Zn and 1.3% Cu over 4.5 m, and 1.0 g/t Au, 147.6 g/t Ag and 8.3% Zn over 2.0 m) (unknown TW) in GWM-17E-08. The priority was to drill off gaps in the 1.8 km long resource to create more resources along this sheet of vertical mineralization. On August 18, 2016, Galway published a NI 43-101 compliant Estrades resource estimate (Table 1), which included Indicated Resources of 518,000 ounces at 12.4 g/t gold equivalent (or 652,000,000 lbs at 22.8% zinc equivalent), plus Inferred Resources of 290,000 ounces at 7.4 g/t gold equivalent (or 366,000,000 lbs at 13.6% zinc equivalent) (refer to Galway’s website at www.galwaymetalsinc.com for details on the Estrades resource estimate). The Estrades project was previously mined via a 200 metre deep ramp, with production in 1990-91 totaling 174,946 tonnes grading 12.9% Zn, 6.4 g/t Au, 1.1% Cu and 172.3 g/t Ag. Galway is planning to release an updated resource in the next few months, taking into account new drilling results conducted since the 2016 resource. If true width (TW) is not specified, the orientation of the zone is unknown at this time. Mine site geophysics and geology: a high-stakes game of truth or dare. Mr Peter Holbek (VP Exploration – Copper Mountain Mining Corp.), Mr Richard Joyes (Senior Geologist – Copper Mountain Minning Corp.) Peter obtained his B.Sc. and M.Sc. 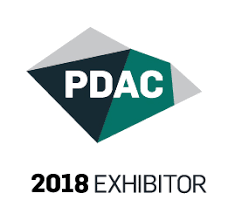 in Economic Geology from The University of British Columbia, and has more than 30 years of experience geology, mineral exploration, resource estimation and mine development. He has been involved in the discovery or delineation in a variety of deposits and metals within North and South America and Europe, and was a 2013 recipient of AMEBC’s E.A Scholz Medal for excellence in mine development. Correlations in geological mapping, geochemical sampling and Titan 24 DCIP at the Bolivar mine, Mexico Mr Alonso Lujan ( – Sierra Metals), Mr Roger Sharpe ( – Quantec Geoscience), Dr Mehran Gharibi ( – Quantec Geoscience), Dr Leduar Ramayo (Sales Associate – Quantec Geoscience) Roger has been with Quantec Geoscience for over 10 years. He has held the roles of interpreter, general manager and chief geophysicist, and now serves as V.P. 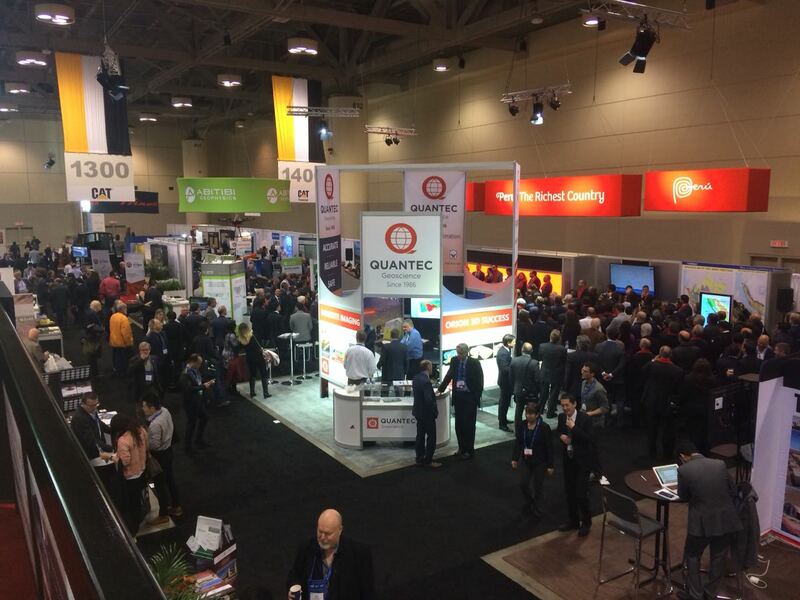 Technical based in Toronto. 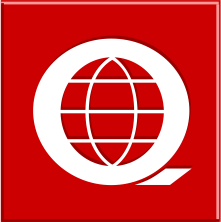 Prior to joining Quantec, Roger worked in hardware and software development for Multi-phase Technologies in Reno, Nevada; and was chief geophysicist for Battle Mountain Gold with mining operations in Canada, Australia, Bolivia and the US. Roger heads Quantec’s R&D team and is responsible for maintaining Quantec’s flagship systems including: Orion 3D, Titan 24 and Spartan MT. New Riches from old data; a re-evaluation of legacy data from the Casino Deposit, Yukon Mr Ken Witherly (President – Condor North Consulting ULC), Dr Scott Thomas ( – Condor Consulting, Inc.), Dr Daniel Sattel ( – EM Solutions LLC) Ken Witherly graduated from UBC (Vancouver Canada) with a BSc in geophysics and physics in 1971. He then spent 27 years with the Utah/BHP Minerals company during which time as Chief Geophysicist, he championed BHP’s programs in airborne geophysics which resulted in the development of the MegaTEM and Falcon technologies. In 1999, Ken helped form a technology-focused service company that specializes in the application of innovative processing and data analysis to help drive the discovery of new mineral deposits. Geophysics applied to Geotechnical applications Mr Adam Smiarowski (Manager Global Geo-Mapping – CGG Multi-Physics) After graduating from Engineering Physics at Queen’s University, Adam completed his MSc at RMIT University in Melbourne, Australia, using electromagnetic geophysics to map salinity for agricultural applications. Adam completed a PhD at the University of Toronto studying airborne electromagnetics for mineral exploration. He has been performing research with CGG for the past 6 years. Risk Assessment from Historical Coal Undermining to the Ermelo Ring Road using Helicopter TDEM and Ground Geophysics Mr Jean Legault ( – Geotech Ltd.), Mr Thomas Wade ( – Geotech Limited) Thomas Wade is a Vancouver-based data processing geophysicist for Geotech Limited. He has spent the ten years since obtaining his Bachelor of Science degree in Earth Science from Simon Fraser University leading airborne geophysical surveys for Aeroquest and Geotech around the globe. He is an expert in the acquisition and processing of time-domain EM, ZTEM, magnetic and radiometric airborne data. He is a registered professional geoscientist with APEGBC. Now being mobilized, an electromagnetic survey will help target brine aquifers on Belmont Resources’ (TSXV:BEA) Kibby Basin property. The company describes Quantec Geoscience’s Spartan AMT/MT method as “a full tensor magnetotelluric technology that acquires resistivity data in the 10 kHz to 0.001 Hz frequency band. 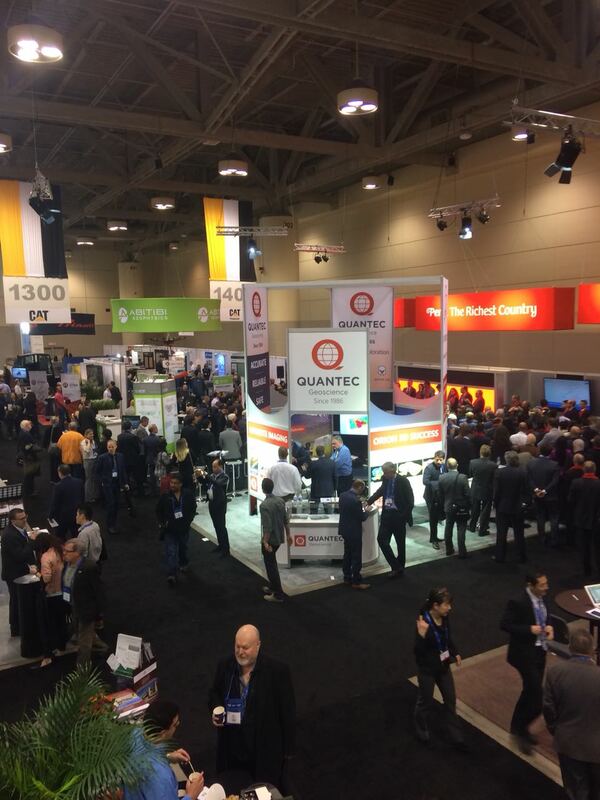 The result is a measurement that is applicable from near-surface to potential depths of three kilometres or more.” Belmont credits Quantec with over 5,000 geophysical programs in over 50 countries. 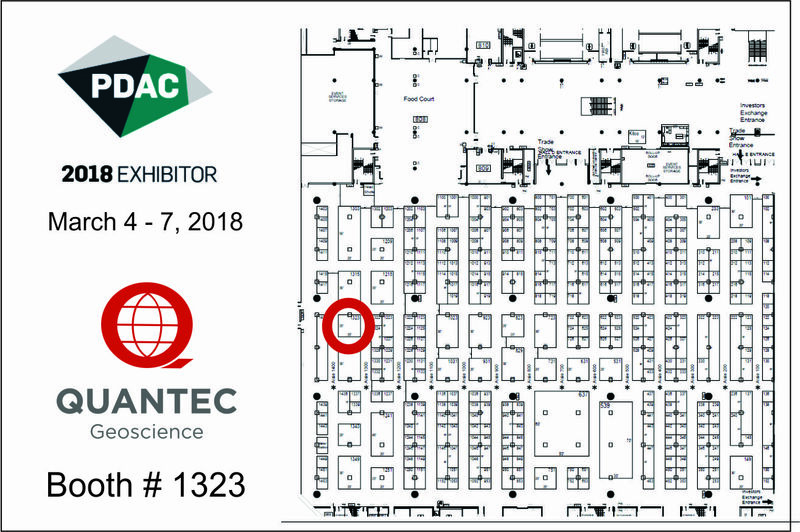 Please visit Quantec at our booth at the Saskatchewan Geological Open House Nov 27,28 and 29. Both Rob Gordon and Roger Sharpe will be in attendance to answer questions about our services and provide ideas for your exploration plans. The Orion3D technology was first initiated in 2006 and trialed in 2007. The first commercial implementation was 2011. Orion3D is the first ever distributed acquisition system (DAS) -based full 3D data acquisition system that includes both IP and MT. There are several unique features of the system including a large footprint of 2 x 2 km to optimize DC and IP depth of investigation in the 500 m to 800 m depth range; and an ostensibly equal number of in-line and cross-line receiver dipoles that maximizes coupling with an target. 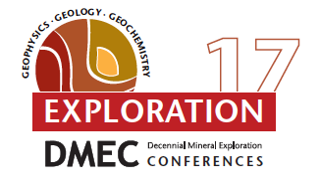 Survey results will be shown from a number of exploration situations globally including epithermal gold, IOCG and a copper-gold porphyry system. Case studies reveal the advantage, of true 3D vs 2D or 2.5D acquisition. True 3D is defined to mean acquisition where receiver electrodes sample the current in orthogonal directions and a large number of receivers (300) are deployed (using a DAS) to optimize the footprint geometry. For every current injection, all receivers are active. This results in a true omnidirectional coverage for each current injection and gives multiple intersecting current paths over the entire survey with a very large number data points acquired. The result is greater coupling with complicated 3D geology and structure which enhances resolution and target detection at both shallow and deep depths. The omnidirectional coverage provides a better 3D inversion result because there is no acquisition directional bias and each cell in the inversion volume is sensitive to multiple omnidirectional current paths. Examples which show this increased definition through a high correlation with drill results from actual field surveys will be discussed following a brief description of the technology.